"Who do you think you are kidding Mr Bricker. .?" Will Yule be affected by Brexit? Has Brexit broken the property market? Rent increases as changes for landlords take hold. Or how market manipulation is doomed to fail. Is this era of unscrupulous leasehold practices coming to an end? Stamp duty and Foreign Investors – right or wrong? Looking to get your hands dirty and your fingers green? Don't get caught out marketing an unrentable property! Is central development of new homes hurting our towns and cities? Buy before they try....or... ‘Purporting’ to sell your home! Entering the prohibition era for leaseholds? Landlords are looking to improve their portfolios! Is the future tiny or naked? Alok Sharma our 15th housing minister since 2000! Property portal wars – unfair tactics? In house financial services – what's the catch? Khan you see the problem? Online Advertising Agents vs Traditional Agents - Are you comparing Apples with Oranges? 9.5 Out Of 10 People Can’t Be Wrong! Have a complete change from the city and live the countryside dream! Post referendum – Where now for the London property market? When I grow up, I want to be……. You can go your own way…. 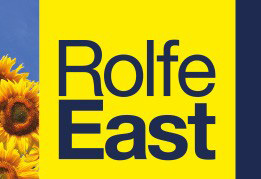 Rolfe East International Exhibiting at 'A Place In The Sun Live' London! 2016 - The year of the online 'agent'? There’s more than one way to skin a cat…. Oi, Get Your Foot Off The Housing Market! What Will The Phoenix Look Like? To Boldly Go Where No Investor has Gone Before! A Rented Home Is A Person’s Castle! Bleak Headlines Are There For A Reason! Landlords, Don’t Let Them Get Away With It! No Need To Panic About Creeps! Sellers, Time To Get What You Deserve! Bricks On Mortar, Not Pen On Paper! They Did Well, But Have They Failed In their Duty? Government, Stay Neutral With Housing, Not Stuck In Neutral! Item 1 On Your List…Get An Inventory! Have You Tried Thinking Outside The Box? Free Seminar - Landlords: Are you making the most out of your current property investments? New Stamp Duty Rules, Okay?